Russia and four other CIS countries - Azerbaijan, Kazakhstan, Turkmenistan and Uzbekistan - are important energy producers and possess substantial reserves, particularly as far as natural gas is concerned. Russia alone accommodates about one quarter of the global gas reserves and has established itself - along with Saudi Arabia - as one of the world's two leading oil exporters. However, Russia's relations with OPEC so far have been largely a history of non-cooperation, and the prospects of future cooperation appear equally problematic. The prospects of the Russian energy sector are to be seen against the background of the newly adopted 'Energy Strategy until 2030'. The key problems tackled in the Energy Strategy are the so far generally insufficient exploration and investments in the new hydrocarbon fields. This is due to a number of factors such as the rising state involvement in the oil sector, the confiscatory tax regime, and the low domestic tariffs for gas. Deposits in the traditional energy-producing regions are largely depleted, while the fields which would enable maintaining or raising production volumes in the years to come lie predominantly in remote and technologically and climatically challenging areas. Their development would require the creation of appropriate production, transport and social infrastructure. The related total investments over the period until 2030 are estimated at some USD 1-3 trillion, implying that a substantial boost from the current investment levels is needed. In addition, the development of offshore gas deposits would require the construction of LNG plants, the expertise for which within the Russian gas industry has been very limited so far. Therefore, attracting more foreign investment and related know-how, and more private capital in general, appears to be indispensable for the government plans to materialize. Intensifying the existing 'Energy Dialogue' between Russia and the EU and deepening the mutual investment penetration would be highly instrumental in achieving these goals. The government's target is to increase, by the year 2030, oil production by 10% and gas production by some 40%, with half of the latter to be provided by the so-called 'independent' (from Gazprom) producers. The increase in the oil output would be largely channelled to domestic consumption, whereas half of the additionally produced gas should be exported: gas exports are to rise by about 50%. The rise in domestic gas consumption will be constrained by the planned tariff hikes, which should facilitate the substitution of gas by coal and nuclear energy, and induce energy-saving behaviour. The announced target is to lower the energy intensity of the economy by about three times and bring it close to the levels observed in developed countries with similar climatic conditions. 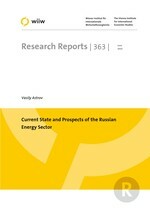 Domestic gas savings resulting from higher energy efficiency, but also reduced flaring and leakages, should further improve Russia's gas export prospects - along with the increased supplies from Central Asia and particularly Turkmenistan, where Russia has been recently successful in advancing its presence. The Russian government's target of exporting up to 20-25% of energy to the potentially promising Asian-Pacific region (including China) by 2030 mirrors the EU's stated objective of diversifying its energy supplies away from Russia. However, so far the results in this respect appear to have been mixed at best. While the geographical diversification of Russian oil exports has been slowly advancing, the diversification of gas exports has been constrained by the price disagreements with China and the limited progress with LNG. Given the envisaged sizeable overall increase in Russian gas exports, such diversification - even if successful - is unlikely to 'crowd out' Russian gas exports to Europe. This implies that Europe will almost certainly remain Russia's biggest energy export market in the medium and long run.